There has always been something truly romantic about the sea, and the style everyone associates it with is no different. The navy blue and white stripes, and the red accents, of the classic naval uniform have a timeless appeal. They are reminiscent of long-separated lovers being reunited at the dock with a passionate kiss; of sunny summer adventures; of peaceful moments on the water. Bogner has also long noted the appeal of the marina look. 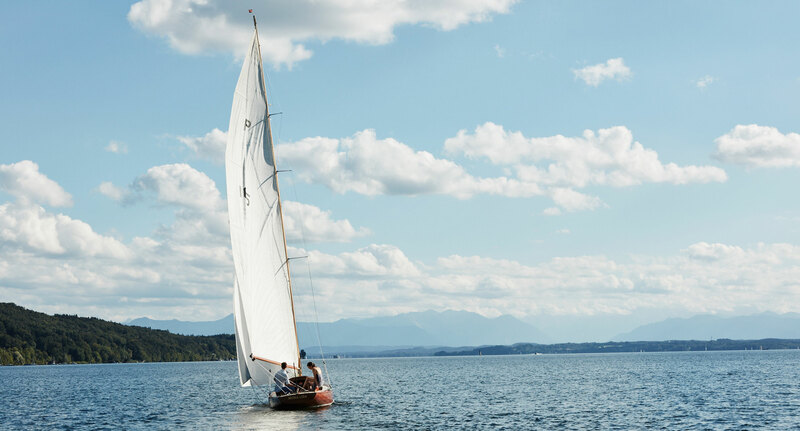 Even in the 1950’s, Willy Bogner Sr. and his wife Maria would often be found spending summer afternoons sailing at Lake Starnberg near their home in Munich. In 1951, the German newspaper “Film und Frau” (“Film and Woman”) photographed Maria Bogner on the lake, with the caption “A beautiful woman between the cables.” Maria often did the modeling for the Bogner brand herself: she was a woman who was confident and comfortable in her own skin, and knew exactly how she wanted the photos to turn out. Less often captured in the photographs, though almost always there behind the scenes was Maria’s husband Willy Bogner Sr. He was an avid sailor and all-around-athlete himself, and adeptly sported all the menswear fashions his company produced. All of the striped shirts, navy blue blazers and light, waterproof windbreakers were staples of Mr. Bogner’s summer wardrobe. The second generation of Bogners, Willy Jr. and his wife Sônia, were much like their predecessors in that they too frequently enjoy spending time at the sea, and the accordant style. 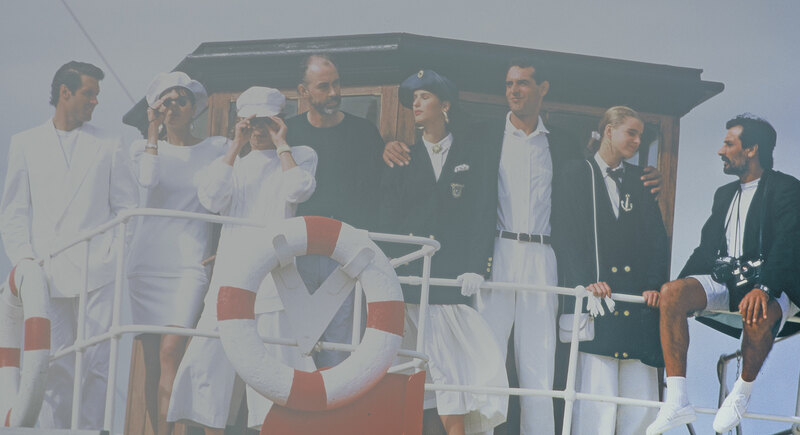 Carrying on the innovative spirit of the Bogner brand no matter where they were, they continued to modernize the fashion of the marina while holding on to its heritage. This season’s Bogner Woman and especially Bogner Man collections revisit the marina style in-depth. Navy blue dominates the Bogner Man collection, punctuated with white and red details, and the occasional black or brown blouson jacket. High-quality materials that are both comfortable in the summer heat, but resistant to chilly sea-breezes and inclement weather make up the collection’s foundations. All of it is perfectly designed to accentuate the moments of calm nostalgia on the water this summer.